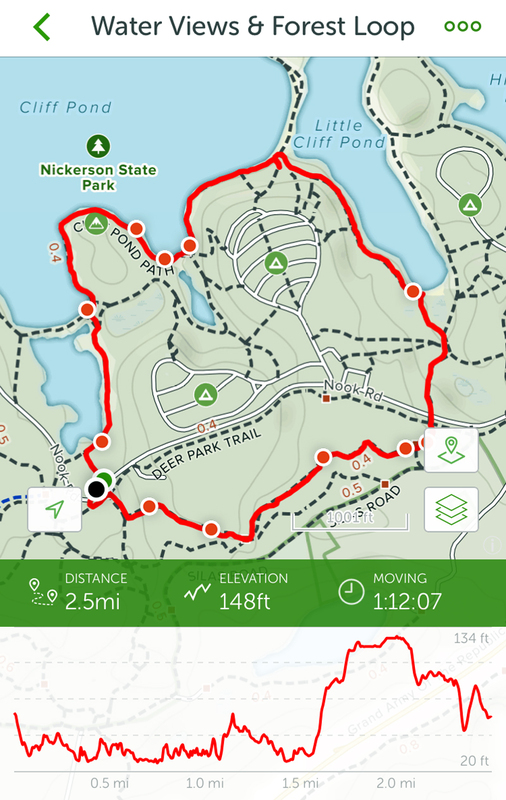 We Made Our Own AllTrails Hike At Nickerson State Park On Cape Cod! We have had so much fun with the AllTrails app which is so easy to use. 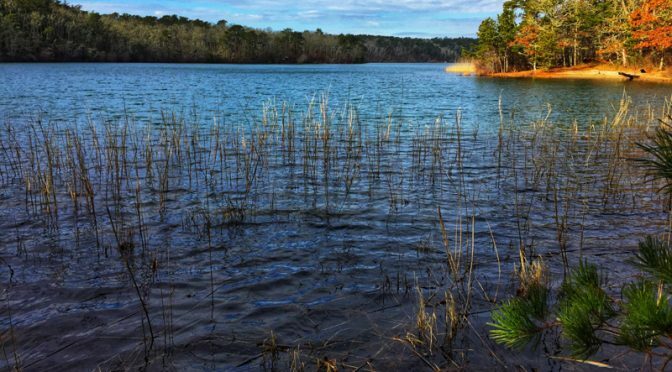 We made a loop called Water Views & Forest Loop where you hike along the ponds at Nickerson State Park and then back through the pine forest. It is so beautiful. The map of the hike is at the end of the blog. 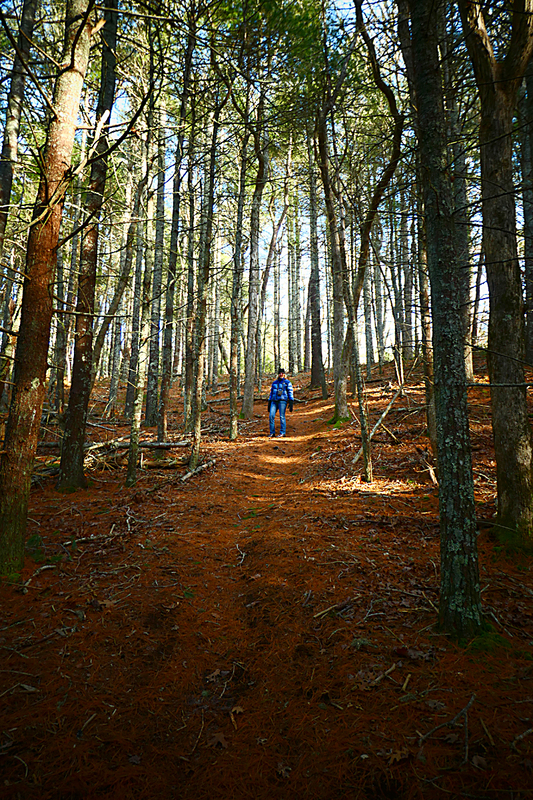 You start out hiking along the banks of Cliff Pond and Little Cliff Pond and then head back through the pine forests. It doesn’t get much prettier. You can add photos to the hike too. If you take them with your phone and download them to the app, they will pop up along the trail on the map where you took the photograph. Pretty cool, don’t you think? Previous PostThere’s Ice On Cape Cod Bay!Next PostThe Cattails Were Huge Overlooking Nauset Marsh On Cape Cod. I’m remembering the Girl Scout song, “I’m Happy When I’m Hiking”.